Devrim 2,a light weight hybrid card,is developed by students of NUST at CEME.This is first hybrid car developed by Pakistan ever but it's exceptionally good because of it's many benefits. The car reach a speed of 50 Km per hour.The one function which is very inspiring is it's low fuel consumption. It can good at an average 110 Km per hour with a weight of 160 Kg.The car is much light.A Honda Pridor weighs about 96 Kg which shows how light weight the car is.A Toyota Corolla usually weighs about 1200 Kg. The other great function that I liked in particular is it's being hybrid.The car developers were inspired by a Turkish car.An electric motor is used with combustion engine to increase the car's efficiency and that's what makes it hybrid.Large capacity banks are used to stored a large amount of electrical energy. 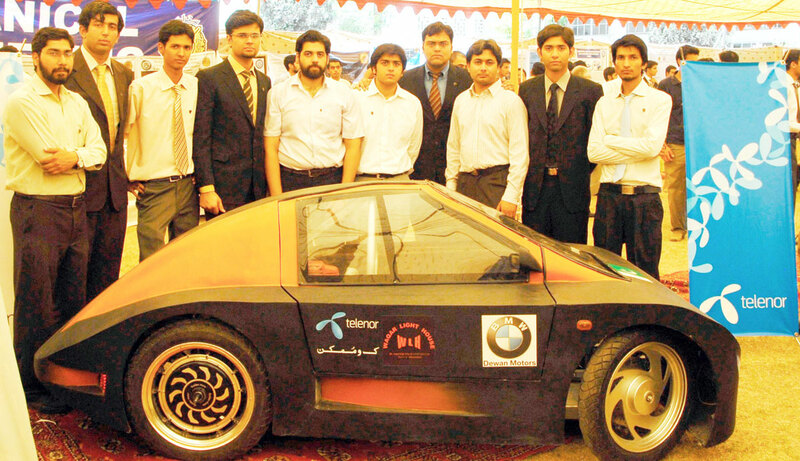 CEME surely gets credit for development of a car and for their academic success. The car is expected to cover much more distance in one liter than what it does cover now but due to lack of resources and facilities,manufacturers are quite limited. 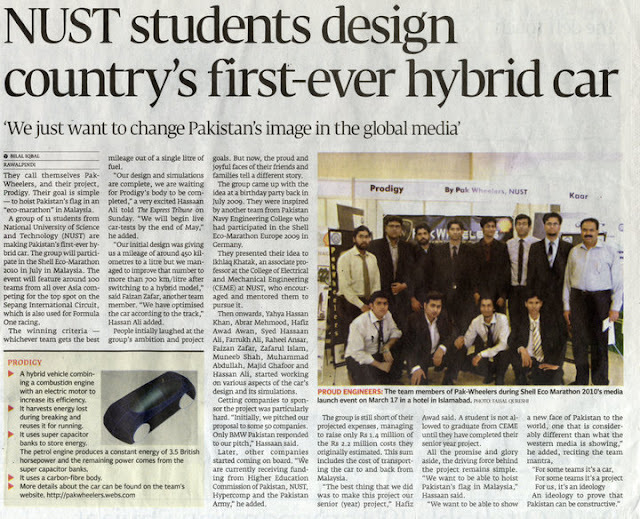 Let it be whatever,but truly it's a great effort done by the students.Though the car couldn't achieve a great success but being first hybrid card by Pakistan,it will remain in history as long as Pakistan remains.May God give success to Pakistan and guide them to the straight path.Ameen.